Israel reopened its only crossing for people with the Gaza Strip on Monday, a week after shutting it over violence along the border with the Palestinian enclave. The reopening, following days of relative calm, comes as Egypt holds talks with Palestinian officials as part of efforts to reach a long-term truce with Israel. A spokeswoman for the Israeli defence ministry unit that oversees the Erez crossing confirmed it had opened as planned on Monday morning. On Sunday night, Israeli Defence Minister Avigdor Lieberman said the crossing was being reopened due to "calm that has been maintained over the past week." Israel closed the crossing except to humanitarian cases on August 19, after another round of protests and clashes on the border with the Hamas-run Gaza Strip. 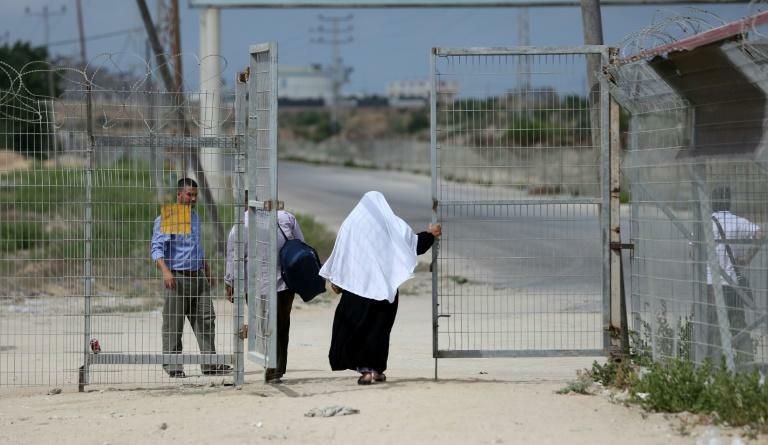 It has enforced an air, land and sea blockade on the Gaza Strip for more than a decade, but grants permission to a limited number of people to cross for various reasons. A second crossing with Israel, Kerem Shalom, is for goods. Egyptian and United Nations officials have been mediating indirect talks on a long-term truce between Israel and Islamist movement Hamas, which have fought three wars since 2008. Egyptian officials have held talks with Palestinian president Mahmud Abbas's Fatah this week in a renewed bid to reconcile the movement with Hamas. The two factions have been deeply divided for more than a decade and Abbas is opposed to any truce with Israel that bypasses his Palestinian Authority, based in the occupied West Bank. Mass protests and clashes erupted on the Gaza border on March 30 and have continued at varying levels since. At least 172 Palestinians in Gaza have been killed by Israeli fire since the protests began. One Israeli soldier has been killed during that time. Gaza's only other border is with Egypt, but the Rafah crossing with the enclave had largely been kept closed in recent years. Cairo opened it in mid-May and it has mostly remained so since.